Com-Pac International was recently certified by the Small Business Administration (SBA) as a HUBZone company. Why is this important to you as a customer or potential Com-Pac customer? Please read on to discover how using this designation can give you a competitive advantage and grow your business! 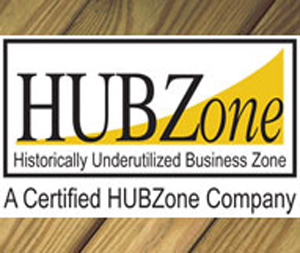 HUBZones are historically underutilized business zones that are located throughout the United States. The purpose of the HUBZone program is to provide federal contracting assistance for qualified Small Businesses located in historically underutilized business zones in an effort to increase employment opportunities, investment, and economic development in such areas. The federal government has established a goal of 3% of all prime contract awards to be set-aside for HUBZone concerns and each department tracks this performance and must report to congress on their progress as part of the budgeting process each year. In 2010, the federal government awarded nearly $12 billion worth of contracts to HUBZone firms. Importantly, these set-asides can be awarded to you as the prime contractor by using Com-Pac International as a subcontractor since we are a HUBZone-certified company. In addition to HUBZone set-asides, there are pricing advantages available, too. For example, the offer of a HUBZone supplier will be considered lower than the offer of a non-HUBZone/non-small business, providing that the offer is not more than 10 percent higher than the non-HUBZone business. Finally, as a result of the 2010 census, congress re-drew the HUBZone maps last October which specify the geographic boundaries in which companies must be located in order to qualify as HUBZone businesses. Nearly 40 percent of the companies which qualified before the October re-mapping were no longer qualified. This means reduced competition for HUBZone government contracts and that government agencies are working harder than ever to find HUBZone suppliers who remain qualified under the new maps. Com-Pac personnel are looking forward to speaking with you about the benefits of working with us as a HUBZone supplier and about our complete line of specimen handling, storage and shipping products, operating room consumable products and contract manufacturing capabilities. Remember, we manufacture everything right here in the U.S.A. Contact us at sales@com-pac.com or 800-824-0817.